The first version of our comparison tool has been released about 18 months ago. We’re very glad today to announce a significant upgrade of this feature, now allowing to compare up to 12 web pages at a same time (against only 2 before). Another improvement comes with the charts of groups for monitored pages, giving access to comparison report by clicking any dot on the chart! 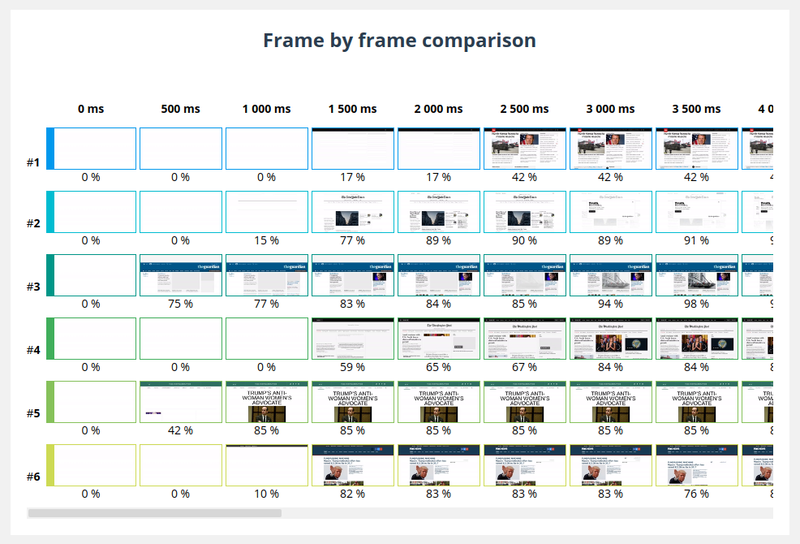 A single tool to fit all your web pages comparison needs. Our service to compare web pages allows to deal with a lot of use cases. For some of them, we even provide simplified forms: competition benchmarking, responsive website speed test, or again repeated view comparison (to test a same webpage with and without web browser caching). Our customers can go even further, by using a full range of advanced settings, available in our website performance test tool but also for comparison purpose. 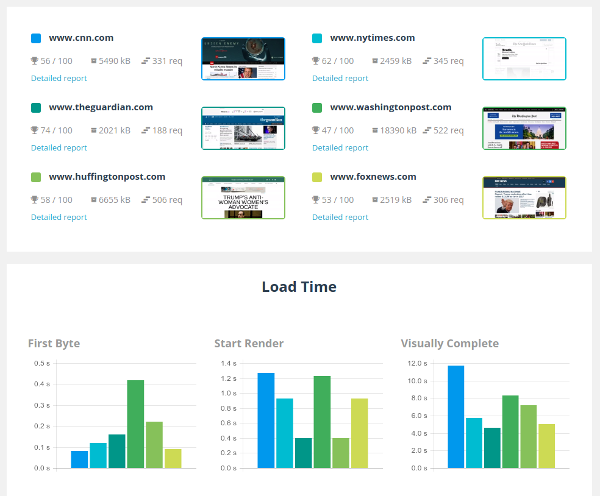 Whatever are your benchmark needs, our comparison feature will deal with it! 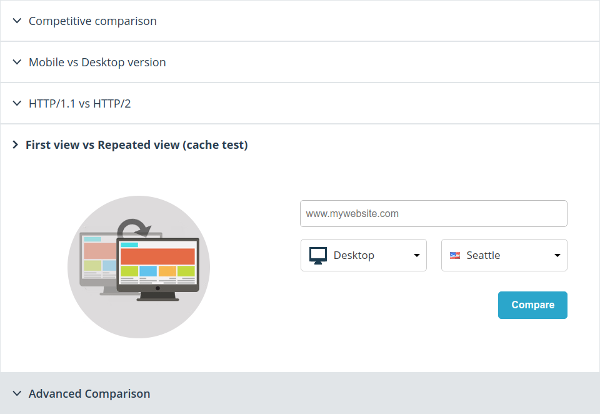 Our comparison reports are also used directly by some of our other features: comparison is a Dareboost core functionality widely used to highlight what really matters in your data. 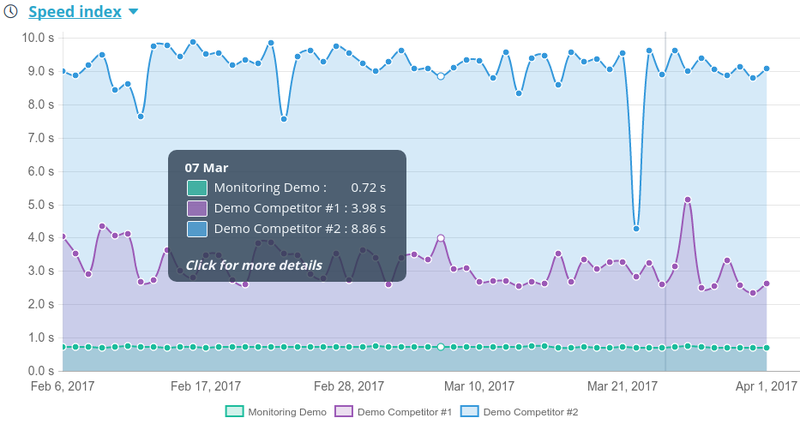 For competitive benchmarking or simply for a better organization of your dashboards, we allow you to associate monitored pages within groups, allowing to visualize at a glance the evolutions of several pages. With this update, you can now click on any point on your groups’ charts to be delivered with the associated comparison report. This improved comparison report still includes all the performance metrics available within Dareboost, as well as the ability to replay the video or to display the filmstrips. From your reports listing, you can also generate comparison reports over existing data. A very useful feature for those who need to compare a former report to a new one! Here again, we have updated the limitation: you can now generate a comparison from up to 12 existing reports. Of course, the same goes with the reports listing related to a monitored page. Do not wait any longer and create your free account on Dareboost: you’ll benefit from 5 web page analysis per month. Discover our Pro Offers to monitor your web pages and make sure to get the fastest website!